Linda’s practice covers both civil and criminal matters. In criminal matters, Linda has experience in working on a wide range of criminal cases, including driving offences, immigration offences, theft offences and white-collar crime etc. She is also experienced in conducting trials, pleas, mitigations and bail applications in the Magistrates’ Court and District Court. In addition, she regularly acts as a prosecutor-on-fiat for the Department of Justice. In civil matters, Linda has experience in drafting pleadings, conducting trials and other interlocutory applications in the Family Court, the District Court and the High Court. She also has experience in Market Misconduct Tribunal hearings (twice as junior counsel for the Prosecution) and has dealt with cases involving insider dealings and stock market manipulation etc. under the provisions of the Hong Kong Securities and Futures Ordinance, Cap 571. 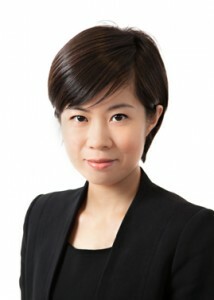 Linda also has experience in working on land dispute cases, in particular land disputes in the New Territories. As a bilingual advocate Linda is capable of performing legal drafting in both English and Chinese.